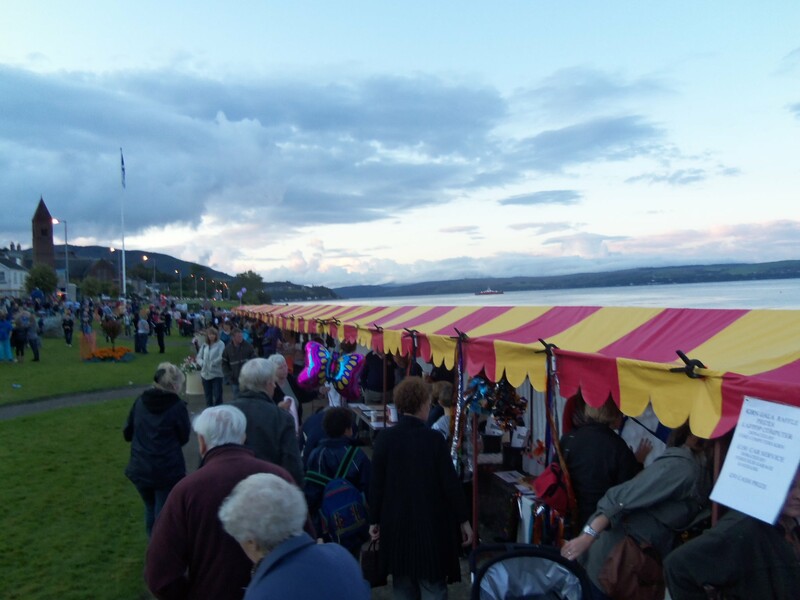 A range of stalls available for hire for any event from festivals to gala days. We will not be beaten on price! 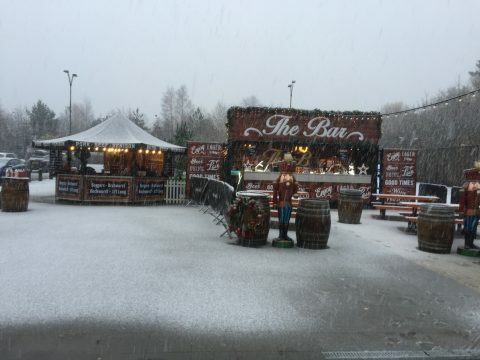 Book your place at one of many events held in the West throughout the year! 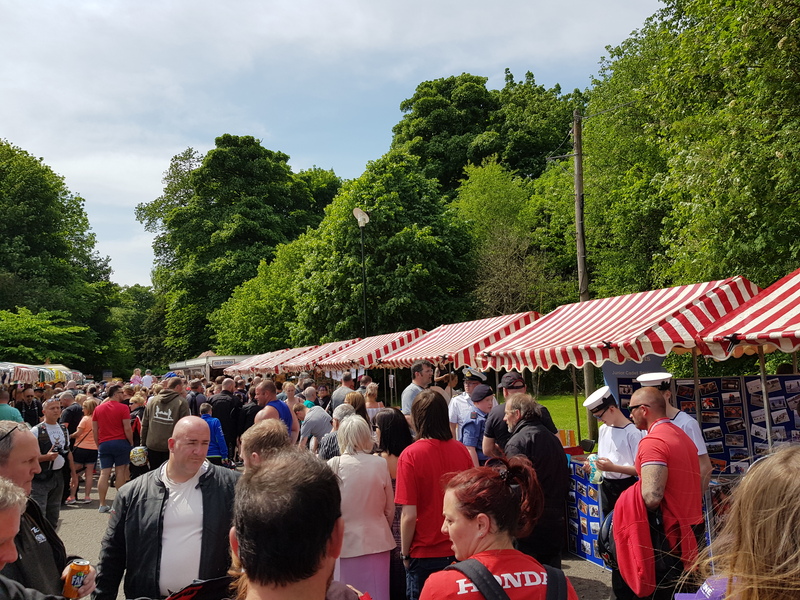 We have a growing range of regular market events throughout Scotland offering the best in quality goods, from home-made delights to artisan crafts, there’s something for everyone. 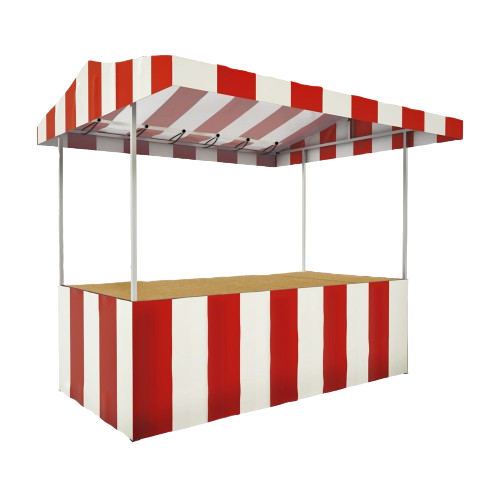 Farmers Market Stalls can be hired at 8ft in length by 8ft deep. This is supplied with a built in table. 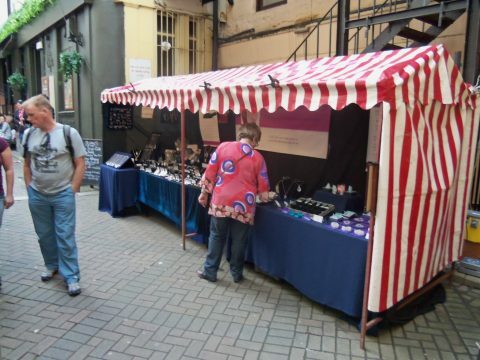 Craft Stalls can be hired at 8ft in length by 6ft deep. These are set up usually joined in rows and can be erected very quickly. 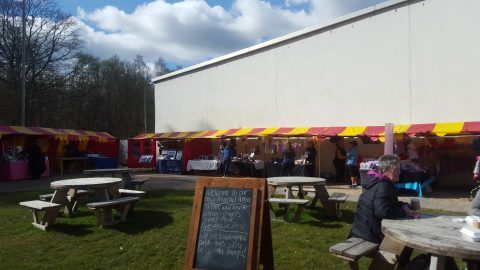 Back walls can be supplied with the craft stalls. 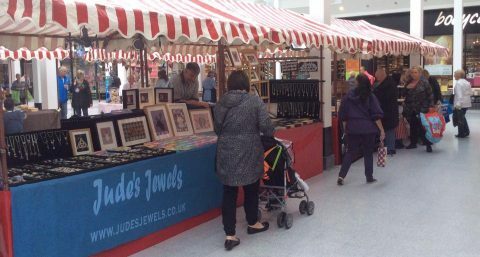 No table is supplied with the craft stalls. 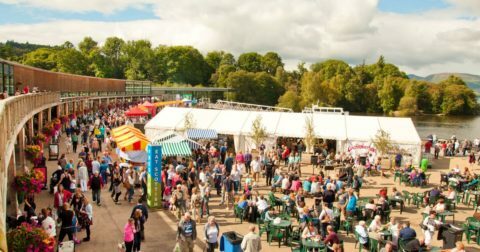 Every year Stall Hire Scotland hosts a series of events with various companies, hiring stalls or hosting events on their behalf. 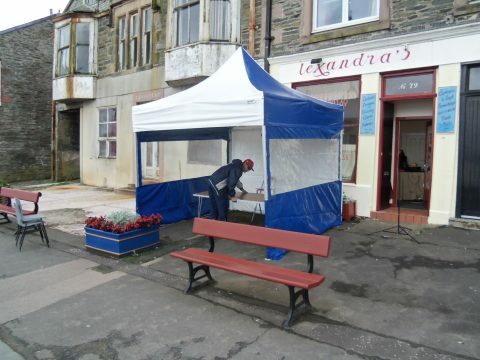 Tables, generators and lighting may be supplied at an extra cost. 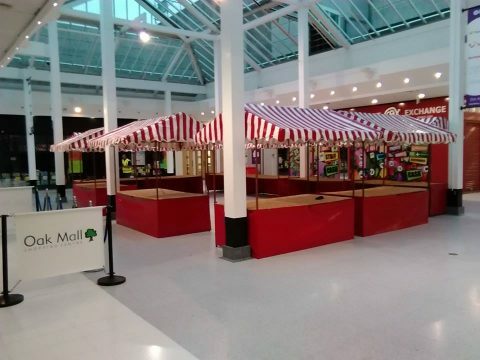 We have worked with Stall Hire Scotland at The Quay in 2016 to plan and deliver our new Clydeside Markets and have been pleased with the communication, planning and delivery. We look forward to working with them over the coming months to plan new market style events at our award-winning entertainment complex. 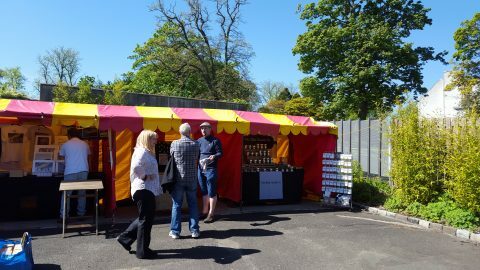 Stall Hire Scotland provide an excellent service of both regular stall hire and set up, and market and event organisation. 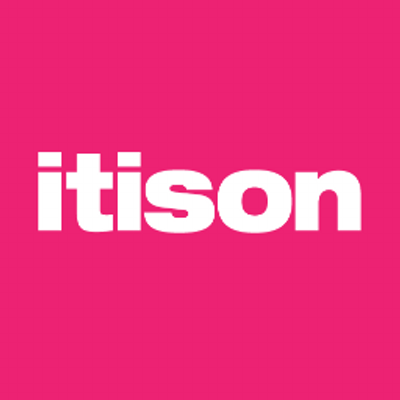 Nothing is ever too much trouble, and the team are always responsive to our ever changing requirements. 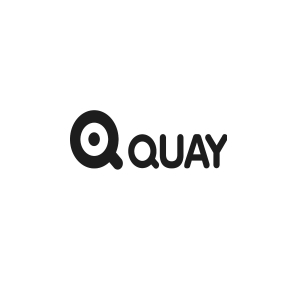 I wouldn’t hesitate in recommending the company. 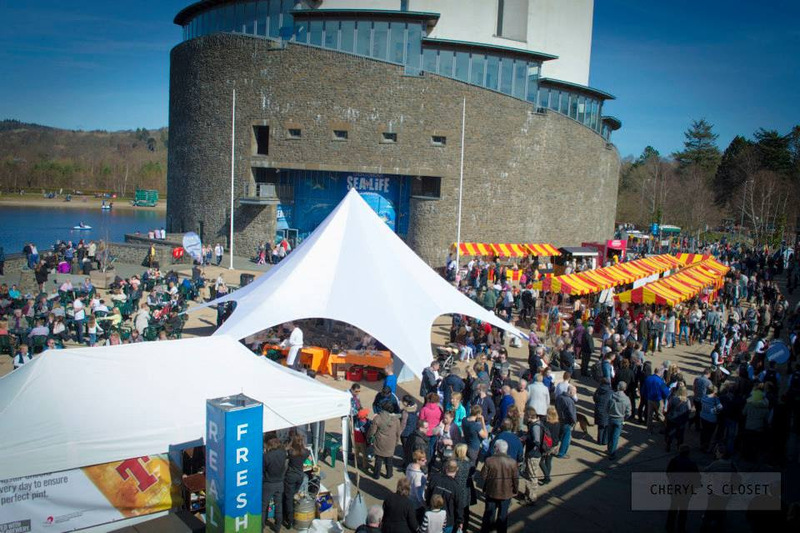 Stall Hire Scotland is one of the country's leading market management experts. 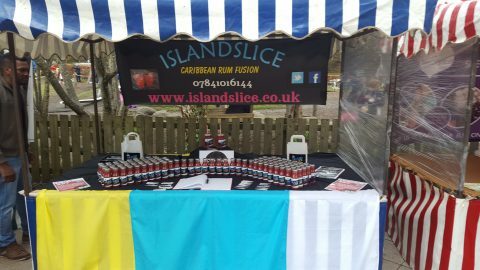 With experience in marketing, logistics, stall holder support and more, we have everything to make a market run smoothly and successfully. Stall Hire Scotland will be supplying the stalls again. And we're taking advance stall bookings too. £10 deposit payable in advance reserves your stall. 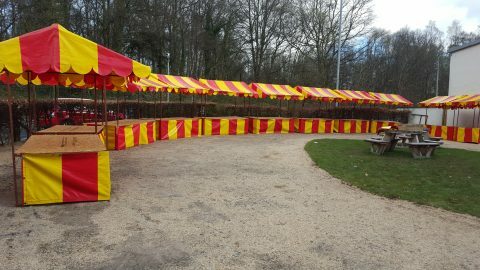 Email bookings@stallhirescotland.co.uk for more info. Our farmers market runs on the first and third Sunday of every month. 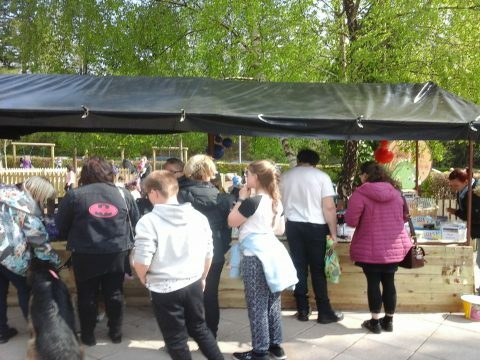 You will find fresh and local produce on every stall. 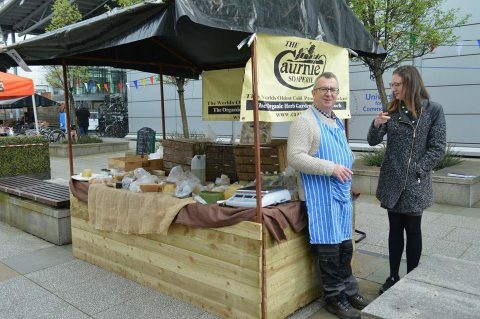 Our producers vary dependant on the seasonal availability of their products, but at most markets you will find Aberdeen Angus and Highland beef, local lamb, Scottish pork, fabulous fish and seafood, rare breeds meats, cured meats, fresh home-baked breads, pies and cakes, handmade Scottish tablet, Scottish Gin, Caribbean cocktails, Coffee, seasonal fruits and vegetables, puddings, honey, a selection of cheeses, jams, chutneys and mustards, olives and humous, award winning meat pies, chilli products, local shortbread, confectionery, burgers, square sausage rolls and hot dogs, Artisan pizza and roast seafood, Scottish pork Bratwurst, coffee, tea and cakes, and more. 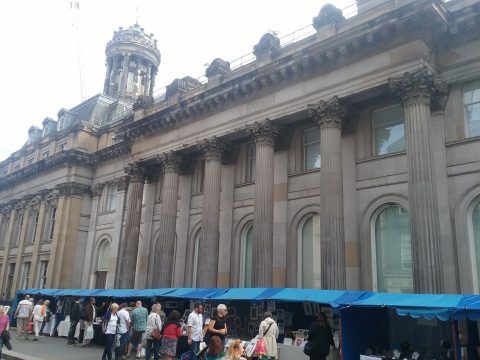 The market starts at 10am and runs till 4pm. 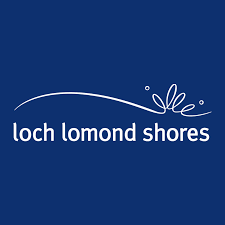 Loch Lomond Shores Artisan Crafts Market takes place outside, beside the SeaLife Centre at Loch Lomond Shores, on the 1st and 3rd Sunday of every month, from 10am to 4pm. 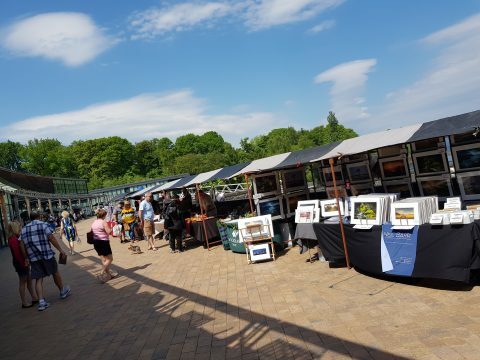 The market runs alongside our well established Farmers Market and consists of top quality artisan craft stalls only. 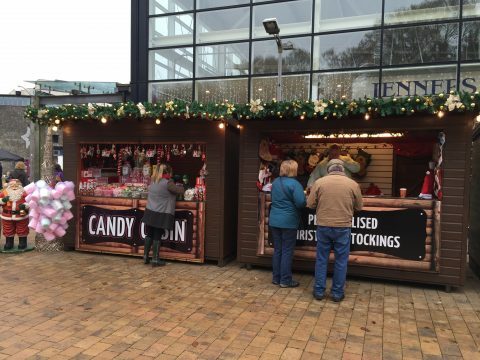 If you are interested in joining our traders, please email Judith at bookings@stallhirescotland.co.uk for more details. 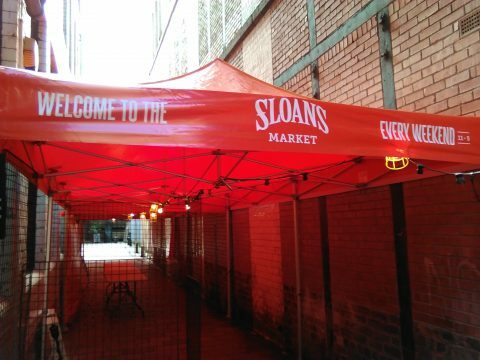 A great selection of traders line the lane running from Argyle Street and Buchanan Street, beside Sloans Bar on Saturday and Sunday, 11am to 5pm, to showcase their products at Sloans Market. 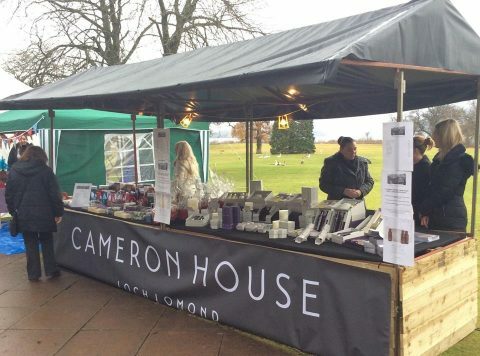 First started in February 2008, our traditional outdoor market now encompasses a wide range of fun, funky, quirky and unusual goods including cold process soaps, various types of jewellery, baby bibs, blankets and children's clothes, guitar picks and accessories, a psychic, as well as French macarons, freshly made waffles and churros, fudge, sweets and more. 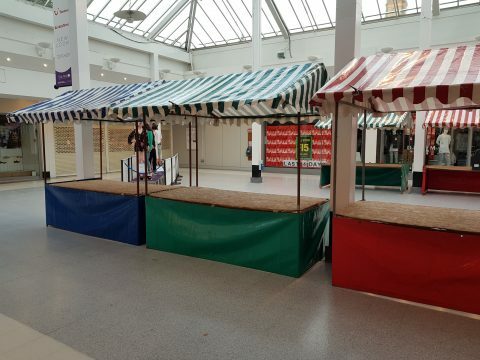 We are looking for new traders to become regular stallholders.